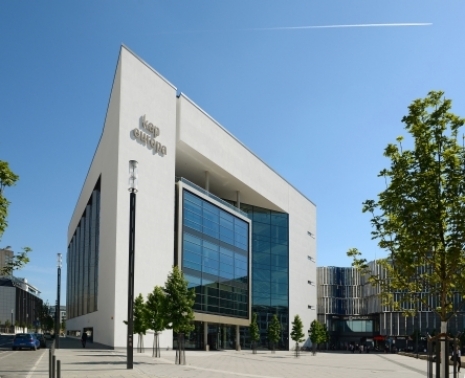 Timed to coincide with the beginning of COP22 in Morocco, the Climate Innovation Summit in Frankfurt on 8 November 2016 will bring together over 300 senior leaders to provide the insights, solutions and contacts that organisations now need to take a leading role in the transition to a zero carbon economy. has initiated a science-based trajectory to limit greenhouse gas emissions, now business, government and NGOs need to co-create mitigation and adaptation pathways to achieve those targets, whilst remaining competitive. The Summit will equip leaders with the know-how to shape a strategic response to the challenges of a carbon constrained economy, via market-ready innovation ideas, brainstorming and the co-creation of solutions. The programme includes senior leaders from across industry, governments and NGOs, including from AXA Group, BP Ventures, Carbon Trust, CDP, Rolls Royce, the UN, Veolia and WBCSD, to name a few. The Climate Innovation Summit is a crucial opportunity to explore new ways to innovate and collaborate across Europe and beyond – whatever your sector, product or service. With prominent keynote speakers, senior participation from a broad range of corporate, public sector and research institutions and an agenda focussed on innovation and cutting edge solutions, this is an important event for any organisation active in the climate innovation space. 4.	Financing the transition to the zero carbon economy. We will announce the top three winners from our pan-European Venture Competition - and Akira Kirton, BP Ventures, will present the prizes and make a short address on the importance of accelerating start-up creation. Hear from a broad range of organisations that are leading the urban transition, using different approaches to deliver the connected and integrated cities of the future. Experts from various organisations of the land use sector will provide their views on the challenges they see and the solutions they are developing to make land use and its associated value chains a key contributor to the post-COP21 agenda. In this session, pioneer companies present case studies of successfully applied circular economy practices, and explore how the complexity of adopting circular economy business models can be overcome by adopting a collaborative, systemic approach. What does each actor envision their respective roles to be in 2020? What are the biggest barriers to funding, lending and investing? Providing services to capital allocators? Accessing climate finance? What are the biggest barriers to financing climate action today? Learn from three exemplars of urban transformation in Europe, discuss the key insights and business models in groups, and build connections to help accelerate your plans and projects. This session will examine the key challenges of CSA solution identification, assessment and deployment, looking at systemic and innovative approaches including Climate-KIC’s framework and open-innovation platform. Eco-industry clusters have emerged as a central concept to furthering innovation and competitiveness and advancing sustainable development strategies. This session explains how to advance circular economy practices and the benefits this provides along and across value chains. The objective of this collaborative session is to identify opportunities for investment, innovation and intervention and make new connections. Participants will learn about concrete and promising solutions, then brainstorm and share ideas. 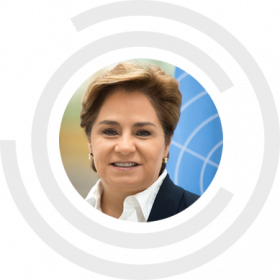 Patricia Espinosa is Executive Secretary of the United Nations Framework Convention on Climate Change (UNFCCC). Ms. Espinosa took office on 18 July 2016. Ambassador of Mexico to Germany since 2012 and from 2001 to 2002, Ms. Espinosa was Minister of Foreign Affairs of Mexico from 2006 to 2012, bringing more than 30 years of experience at highest levels in international relations, specialized in climate change, global governance, sustainable development, gender equality and protection of human rights. As Mexico's representative on multilateral bodies and international organizations in Vienna, Geneva and New York, Ms. Espinosa has been engaged as leader in the global challenge to address climate change and its consequences, notably as Chair of the 16th Conference of the Parties to the UNFCCC leading to the adoption of the Cancun Agreements. Born in 1958, she has postgraduate studies in International Law from the Institut Universitaire de Hautes Etudes Internationales in Geneva and is holder of a Degree in International Relations from El Colegio de Mexico. Hans Joachim Schellnhuber founded the Potsdam Institute for Climate Impact Research (PIK) in 1992 and has been its Director ever since. He holds a Chair in Theoretical Physics at Potsdam University. From 2001-2005 he also served as Research Director of the Tyndall Centre in the UK and became a Visiting Professor at Oxford University thereafter. 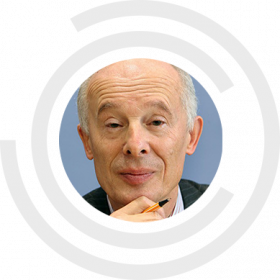 Schellnhuber is currently Co-Chair of the German Advisory Council on Global Change (WBGU), Governing Board Chair of the Climate-KIC of the European Institute of Innovation and Technology (EIT) and Chair of the Standing Committee on Climate, Energy and Environment of the German National Academy of Sciences (Leopoldina). Schellnhuber has been a long-standing member of the Intergovernmental Panel on Climate Change (IPCC) which was awarded the Nobel Peace Prize in 2007. He is a member of numerous national and international panels addressing scientific strategies and sustainability issues. Schellnhuber has authored, co-authored or edited almost 350 articles and more than 60 books in the fields of condensed matter physics, complex systems dynamics, climate change research, Earth System analysis, and sustainability science. 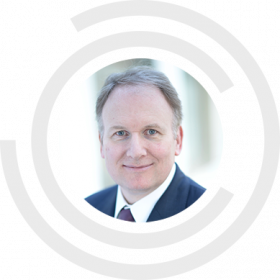 Christian Thimann is the Group Head of Regulation, Sustainability and Insurance Foresight at AXA Group, based in Paris. In this function, he is contributing to the group’s longer-term strategic orientation, overseeing its corporate responsibility activities and positioning the group on public policy issues. He is also overseeing the AXA Research Fund, a € 200 million philanthropic fund dedicated to financing research on life, health, environmental, social and economic risks.